Summit Lake is located east of Olympia by about 10 miles via Highway 101 then to State Route 8. Residents then exit SR 8 at Summit Lake Rd that turns onto Summit Lake Shore Rd and completely circles the lake. Summit Lake is known in the area as being a great spot for water sports in the summer. Homes for sale in the Summit Lake community range from tiny summer cabins to large estate-like homes on the water. All the homes must have their own septic and drilled well or Summit Lake community water as there are currently no public utilities nearby. Some of the homes along the water come with water rights, mainly to be used to irrigate yards. Students will attend Griffin Elementary, Griffin Middle School and Capital High School. 3 Beds | 3.5 Baths | 3800 sq. Ft.
3 Beds | 2 Baths | 2068 sq. Ft.
2 Beds | 1.75 Baths | 1944 sq. Ft.
Blue Summit Realty has the most accurate and up to date Summit Lake real estate listings on the web. Currently there are 5 homes for sale, and 7 vacant land properties in Summit Lake. Of the 12 total Summit Lake residential listings for sale 0 are bank owned, 0 are short sales, 0 are new construction, and 0 are townhomes. The price ranges from $449,950 to $0 with a median list price of $518,688 and median sold price of $272,500. Make sure to refine your Summit Lake real estate search by property type, price, square footage, bedrooms, bathrooms and more with the search tool above or view the Summit Lake listings on our interactive map. 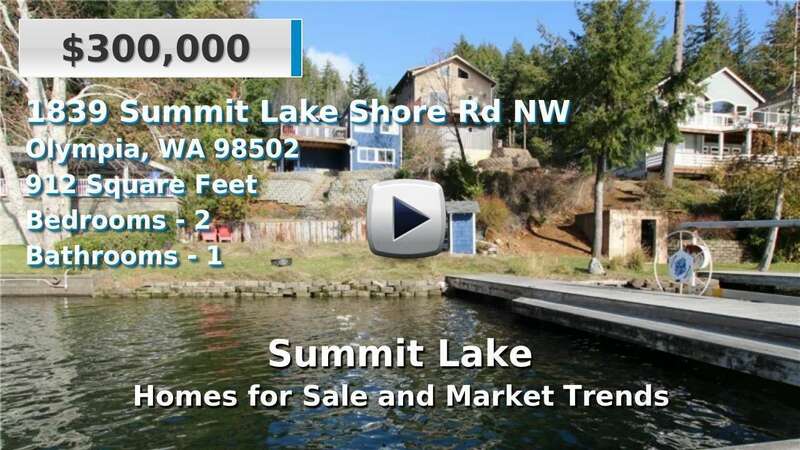 Our Summit Lake real estate listings were updated 2 minutes ago.